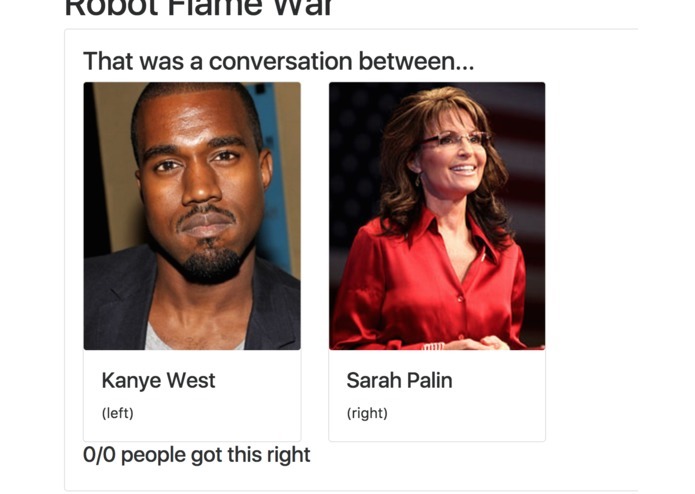 Game where users guess which famous person a bot is emulating the speech patterns of! We wanted to do something fun this hackathon! 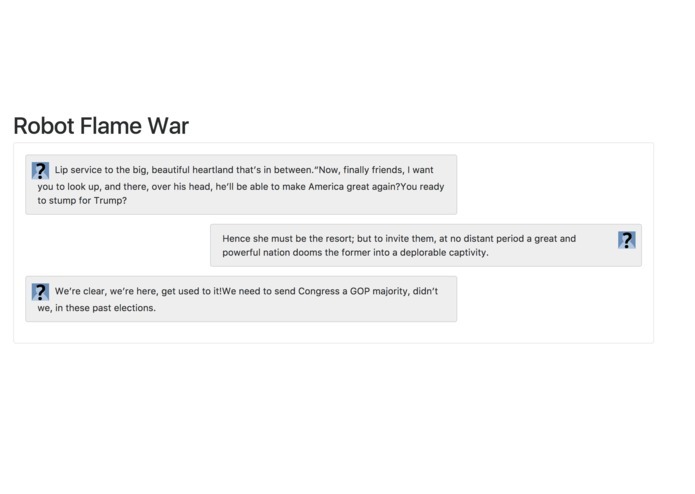 First, we thought of making a bot that imitates Trump’s speech patterns, generating sentences that sound like things Trump would say. Then we thought, "Let’s expand on that! 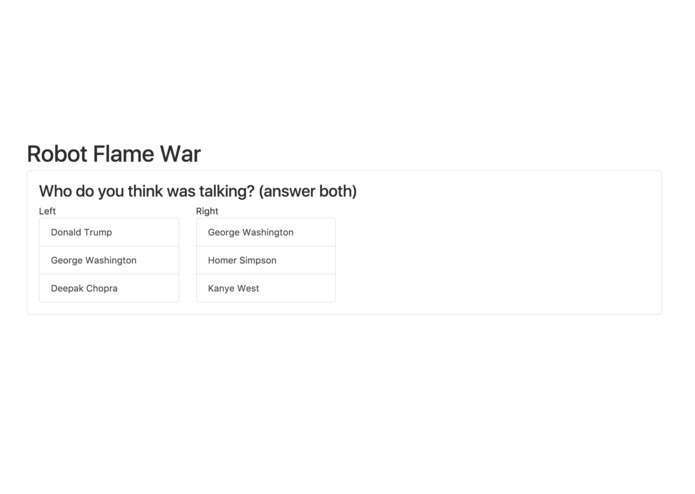 Make bots that imitate all major presidents’ speech patterns, plus a few surprises!" Two bots that are trained to imitate a famous person's speech patterns are randomly paired up and have a conversation about a random topic. Users then spectate for 60 seconds, and vote on who they think the bots are imitating. Feed user response back into the model--e.g. if users consistently misidentify a certain bot's real life analog, automatically adjust sentence generation as appropriate. Worked on reverse indexing and generating efficient sentences from Markov Chains.